I’ve met my January goal having completed not just one, but two events. February, my local MRTT group is hosting an event, so I’m good there and I’ve got races scheduled in March, April, and May for the 9+1; so I am on my way. Although, I am not getting ahead of myself as I know I’ve got a long way to go, but it is nice to have a plan. My next NYRR race is the Washington Heights Salsa and Blues 5K. It seems like a fun event. Plus it’s short even though they say it is a hilly course. Now my cohort in crime has informed me that we are training to do this in 25 minutes. SAY WHAT???? Did she not see the part about it being a hilly course? Of course, Dawn loves her hills so this will be a good excuse to run some hills. That being said, my fastest 5K is around 27 minutes on a course that could really only be described as non hilly. But being as Dawn is my cohort in crime and I’ve talked her into (yes, your in) running the 9+1 AGAIN this year as she already did it last year and will actually be running NYCM this year, she is doing it again. 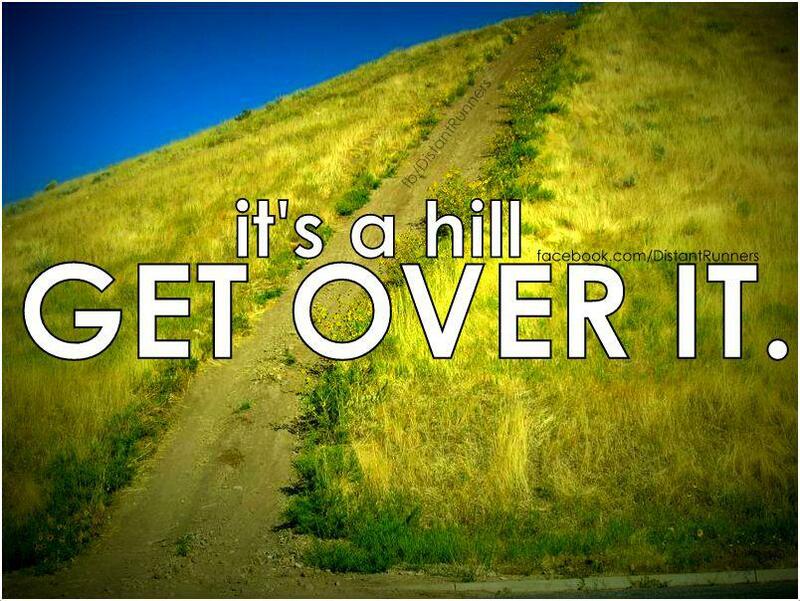 Therefore, I will train on hills. I will run as fast as I can. I will hope that we can do it. The beauty of a shorter race is that you can run full throttle and just pass out or throw up at the end. But lets hope that doesn’t happen and we are prepared for it. Now the question will be…. I’m not sure, but I do believe there may be some hill repeats, some dreaded treadmill workouts, and some other torturous running involved. The next question will be…..
Because we can or at least think we can. That is the beauty of running. Just lace up. Go out and see what happens. The way I look at it, if it doesn’t happen what is the worst that can happen? We have to try it again. Now, I know that I am no Speedy Gonzalez and that a 25 minute 5K is probably the fastest I will ever run it (if I ever do). You know what “that’s what it’s all about.” Pushing limits. Having fun and just seeing where it will take me (and my cohort). In a million years would never imagine that I would be running races at all let alone setting time goals on them. So I will just see how far I can go which is already farther than I’ve ever imagined. ← Word of the Week – Celebrate!